Light drinks with fruity flavors are perfect for a light brunch with friends. One of the keys to drink pairings for this midmorning meal is to choose a cocktail that complements the style of food being served. For example, a screwdriver or melon patch are wonderful matches for a fresh fruit brunch while a bloody mary works well with heartier foods. Below are a number of brunch-friendly cocktails and mocktails. 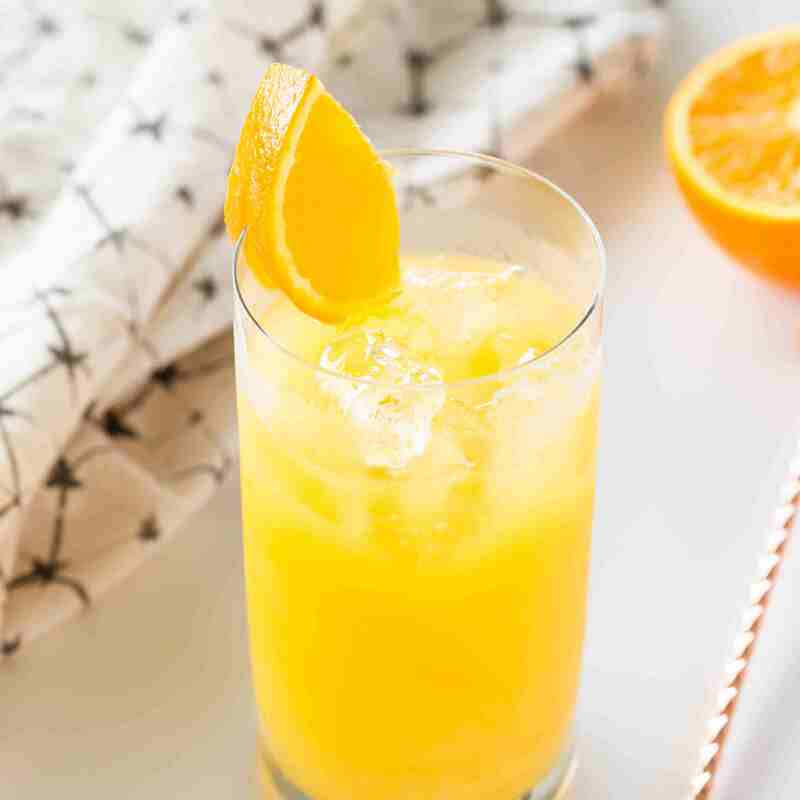 A screwdriver, basically orange juice and vodka, is a staple for any brunch because it is easy to make and pairs well with any type of food. The tomato flavor of a bloody mary is an excellent choice for brunch. While this will not work well with fruity meals, it is excellent with casseroles, pancakes, and the like. Bloody marys often serve as a favorite if you're planning a day of football, basketball, or some other sporting event. Here is another great Champagne cocktail that is a welcome addition to any brunch. A mimosa uses the same orange juice base as the screwdriver, but the Champagne bubbles add a lighter touch than the vodka. For a twist, add wheat beer and make a heftier manmosa. This melon-flavored cocktail is a delightful treat for a light, fresh fruit brunch. It is a favorite on summer days when served with a fruit salad filled with cherries, melons, pineapple, and apples. Hold the tequila from a tequila sunrise and you end up with a virgin sunrise (or sweet sunrise). You still get the pick-me-up with the grenadine and orange juice to pair with a light brunch of fruits and pastries. If you want to go all out for brunch, step it up with class by hosting a Champagne brunch and feature a Bellini cocktail. This peachy drink works well with fish and white meat dishes as well as light omelets. For a simple grapefruit cocktail, a greyhound is at the top of the list. Having both grapefruit and orange juice on hand will give your guests a choice between this cocktail and a screwdriver. If you are offering your brunch guests coffee or espresso anyway, give them the option of adding a little "spirit" to their coffee. Topping the coffee with whipped cream also adds a little elegance to the average coffee mug and lessens the taste of the whiskey. A muffin, a grapefruit, and a sea breeze combine for a simple and quick brunch on short notice. Garnish with lime or grapefruit, depending on your mood and the contents of your refrigerator. This simple mixed drink is light on the alcohol but heavy on the fruit, which makes it a prime candidate for any brunch. If you're feeling a little wilder one morning, add vodka to the peach schnapps and orange juice for a hairy navel. Gin and orange juice combine for this easy neat drink, and the dash of orange bitters adds the right finishing touch.